The human-nature relationship can be quantified using connection to nature indicators. 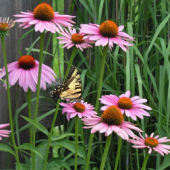 A mail survey of conservation gardeners (n = 180) provided insight into four such indicators (Connectedness to Nature Scale, Nature Relatedness Scale, Environmental Motives Scale, and Inclusion of Nature in Self Scale). The indicators selected allowed for the evaluation of nine parameters in relationship to the outdoor recreation, employment, and demographic characteristics of individuals. The outdoor recreation categories resulted in the highest number of significant relationships. Non-consumptive activities, such as bird watching and hiking, were positively correlated with indicators reflecting equality with nature. Consumptive activities (fishing, hunting) and those requiring equipment or movement away from home (backpacking, camping, and kayaking) were positively correlated with indicators reflecting comfort in large-scale nature. The employment and demographic variables had few significant relationships; volunteering demonstrated weak positive relationships with several indicators, as did female gender. This research provides information about the indicators in terms of what they reflect and how they may be influenced by a person’s background. 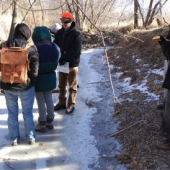 Sustainability education examines the confluence between society, environment, and economy. Yet, an overemphasis on economy has historically trumped attention to the other sphere’s needs. Such an imbalance, editors David Selby and Fumiyo Kagawa argue, calls for a radical reconceptualization of sustainability education. In their book, Sustainability Education Frontiers: Critical Transformative Voices from the Borderlands of Sustainability Education, they invite authors from ten different countries to discuss how sustainability education can be transformed to meet the needs of a diverse and interconnected world. In 1999, the National Association of Social Workers (NASW) in the United States published a policy statement on the environment that acknowledged the social work profession’s apparent “lack of interest” in environmental issues, and called for a new urgency among social workers to address the challenges of pollution, environmental contamination, and resource depletion. Despite this call for urgency and the increasing certainty of widespread social and environmental crises due to climate change, the integration of ecological concepts into mainstream social work education and practice has been slow and sporadic. Only recently have some social workers begun to openly discuss a re-centering of social work within a sustainability paradigm, emphasizing the importance of interconnectedness among humans and the natural world, interdisciplinary alliances and partnerships, and holistic justice-focused practice. This paper explores the potential for a case study assignment in a Master of Social Work (MSW) program to help make explicit connections between sustainability concepts introduced in the classroom and the practical application of these concepts in a wide range of social work practice settings. Three sample case studies from students are presented, and advantages and challenges of this pedagogical approach are discussed. 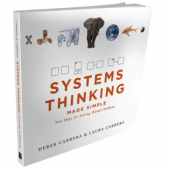 In this book review the author summarized the text, Systems thinking made simple: New hope for solving wicked problems by Derek and Laura Cabrera (2015). In the text, cognitive thought is described as a complex adaptive system and four simple rules of thinking are included as an approach to problem solving.